hydraulic and solid (or mechanical). 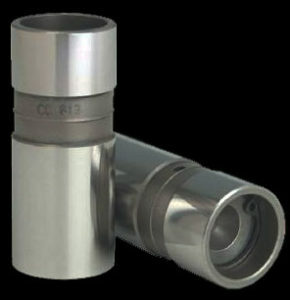 Solid lifters require valve lash for proper operation. 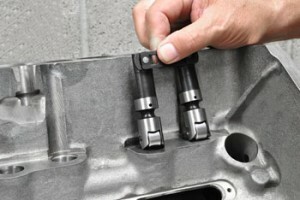 Solid lifters function with an operational clearance or “lash” between the tip of the pushrod and the rocker arm face. The cam lobe is designed with clearance ramps that take up the clearance or lash smoothly before the steeper portion of the lobe begins. Because of the lash clearance, solid liters tend to clatter slightly in operation. Hydraulic lifters use oil pressure and a internal plunger that is adjusted with a set amount of preload so there is no lash. Typical factory preloads are one full turn down on the adjuster nut while racers often adjust then about a quarter turn down. 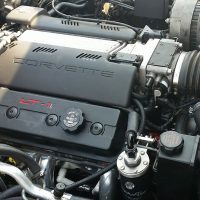 Depending on the valve springs and the rest of the valve train, hydraulic lifters typically have an upper rpm range of 6500-7000 rpm when properly adjusted. Solid lifters typically rev a little higher, but again it depends on the cam profile. Because of the sliding mechanical interface flat tappet lifters can only take so much valve spring pressure before they fail. Flat tappets also limit aggressive camshaft lobe design because of their diameter. A larger diameter face permits a more aggressive lobe design and that’s the impetus behind the use of mushroom lifters with a larger diameter face on the bottom. 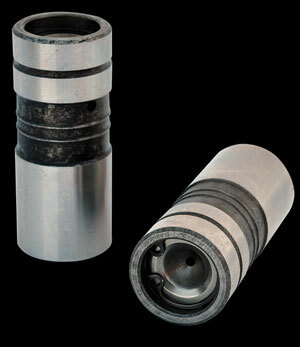 Hydraulic lifters incorporate internal hydraulic plungers held in place by snap rings. Roller Lifters provide a much more useful interface between the cam lobe and the lifter. A basic advantage is the reduction in friction and that’s primarily why OEM automakers initiated a wholesale shift to roller lifters in the mid eighties. Rollers can accept much more aggressive cam lobes because the arc of the roller face effectively imitates a large diameter flat tappet. A roller cam can open the valves much faster and the roller cam profile can be subtly tailored to provide exactly the valve action designers require. Roller lifters are also available in hydraulic and solid versions and they exhibit some of the same characteristics as flat tappets. 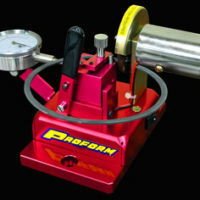 Hydraulic roller lifters are still rpm limited primarily due to their increased weight. 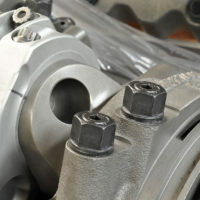 But they offer significant performance gains because of the improved valve motion. Solid rollers are still the best choice for race engines because they can be made much lighter while still provide the superior valve action characteristic of rollers. Lightweight solid roller lifters are used for most high end racing applications. 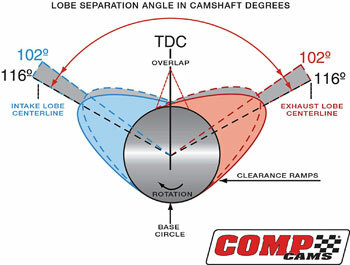 Each camshaft lobe has a point of maximum lift which is the top of the lobe. This is called Lobe Lift and it is multiplied by whatever amount of rocker arm ratio is being used. Together they yield the net valve lift or the maximum value that the valve is opened. Because a hydraulic lifter operates with preload and net zero lash the lobe lift multiplied by the rocker ratio gives you the true valve lift. Mechanical cams (flat tappet or roller) operate with valve lash and that must be subtracted from the calculated net valve lift delivered by the lobe lift and the rocker ratio. Hence similar mechanical cams often have slightly less lift than hydraulic cams. You can increase valve lift by changing rocker arm ratio; say for example by going from a 1.7:1 ratio to a 1.8:1 ratio. Simply multiply the lobe lift shown on your cam card by the new ratio to determine the increase in lift (minus the lash if necessary). 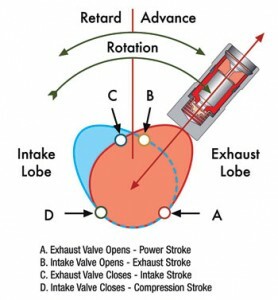 When you contemplate this sort of change you must consider the implications on valve to piston clearance. 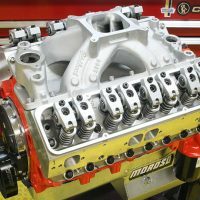 Most builders are already using higher ratios than stock and they have the clearance figured in, but it is important to know how much you have before you go crazy with rocker arm ratios. Higher ratio rockers may also contact the edge of the spring retainer so check for clearance there as well. 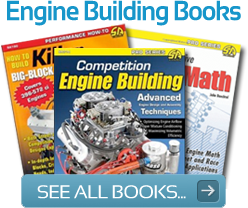 You can also exceed the operational clearance of the valve springs and end up coil binding the springs if you carry it too far. This is pretty easy to check before you run the engine again, but don’t forget to do it. And of course the spring may have enough coil clearance, but it may act differently with higher valve lift so be aware of this. Cam event map shows lobe separation angle, overlap period, .050-lift checking points and effects of 4 degree cam advance shifting events earlier in the cycle. 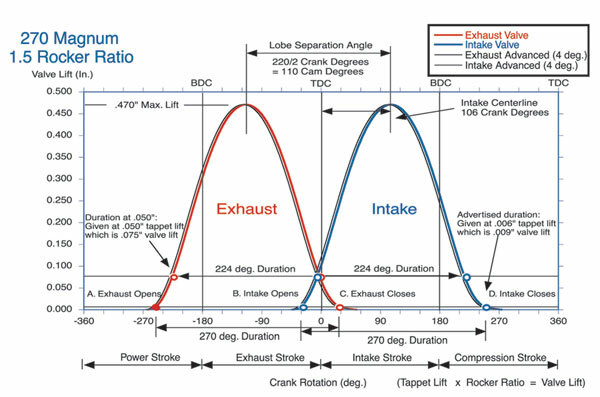 Duration is measured in degrees of crankshaft rotation. It dictates the number of degrees the crank turns (we all typically think of this as time even though it is degrees) from the point of valve opening to valve closing. 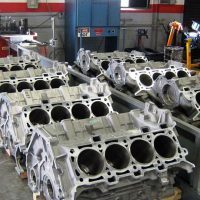 Camshaft companies use a universal checking standard or .050-inch valve lift before opening and closing for comparing specs. In house many of them use a different standard such as .006-inch which is usually called advertised duration. 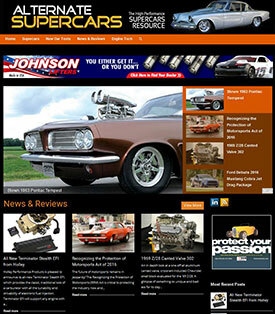 When selecting a cam racers use the universal figure of .050-inch. 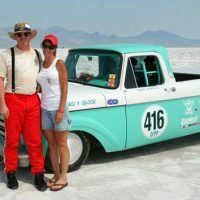 There is also a measure of intensity based on how quickly in degrees, the lifter progresses from the advertised or in-house checking figure to the .050-inch standard; say from .006-inch to .050-inch in the amount of crankshaft degrees. Most builders don’t get into this, but it does affect performance and you should discuss it with you cam maker if you’re looking for every last bit of performance. 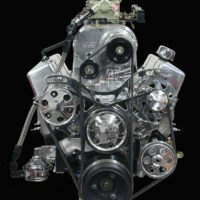 V8 camshaft lobes are arranged in pairs according to the corresponding cylinder. 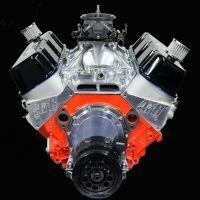 It’s complicated to look at because there is always a lobe for a cylinder on the opposite side of the engine in between the pairs. The pairs themselves are phased with a specific angle between them based on a line drawn from the camshaft centerline through the tip of each cam lobe. Depending on the application this angle normally ranges between 104° and 118°. It dictates the operational relationship between the paired cam lobes for each cylinder. 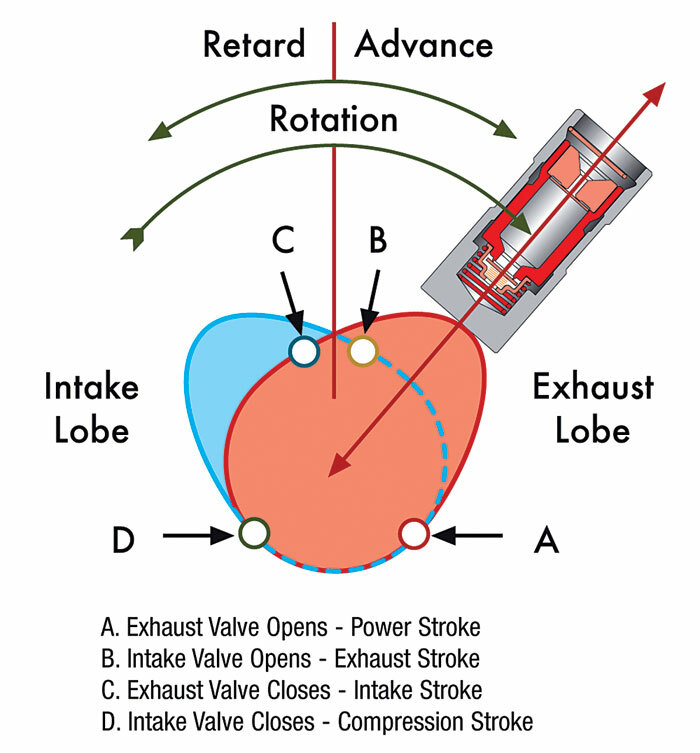 This is a timing event as opposed to a distance event like valve lift. 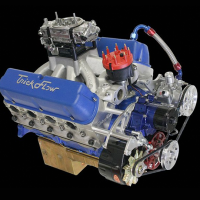 Narrow angles generally increase power at the expense of vacuum and idle quality. Wider angles run smoother and provide good vacuum because they reduce the overlap period where both valve a slightly open at the same time.